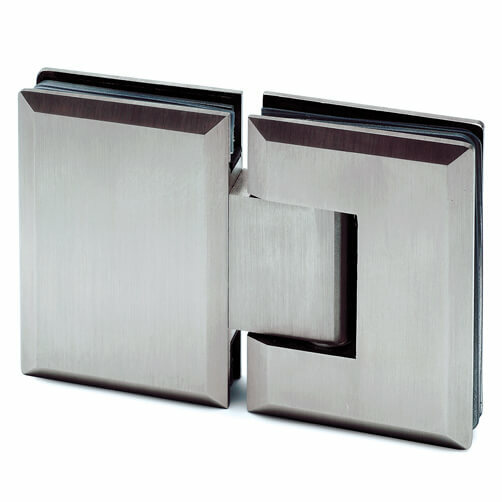 Stylish glass to glass mount swing door hinge with full 180 degree movement. 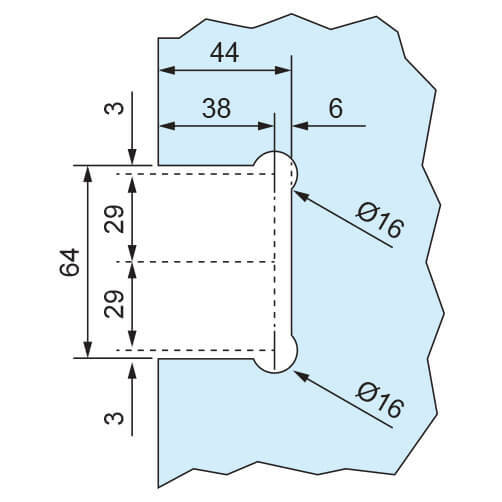 To fit glass door thickness of 8mm - 12mm. Glass will require professional drilling and cutting. Swing movement of 180 degree, with automatic closing from 30 degrees. 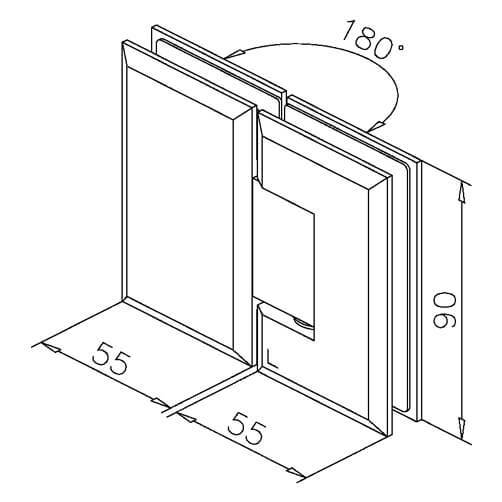 Maximum loading of 40kg on door widths of 800mm (2 hinges) and 900mm (3 hinges). Solid base plate with 4 countersunk fixing points. Laminated and toughened glass will require professional drilling and cutting at manufacture stage.